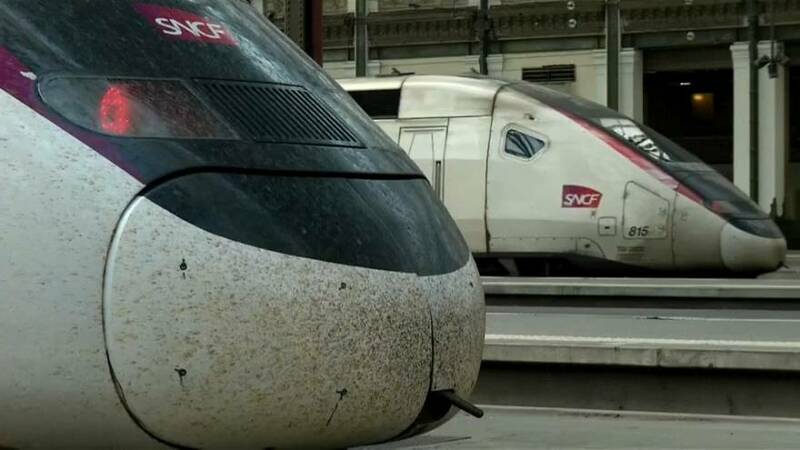 Since April a series of crippling train strikes aimed at limiting government reforms of the state run rail operator SNCF has frustrated passengers in France. Wednesday was the 35th strike day, although signficantly only eight percent of the workforce took part. When they started in April five time as many workers striked. On Wednesday night most of the reforms President Macron fought for were finally signed into law. In response unions announced more strikes in July and August when many passengers are travelling on holiday. But Macron said that he'd worked with SNCF on the reforms: "We have worked to try to answer their biggest concerns and we will continue to do so inside the company's framework,"
In line with EU regulation, the new legislation opens up the passenger rail market up to outside competition. And railways workers' job for life status has been ditched, meaning they are no longer safe from redundancies. Their generous pensions will also be cut back. Until now train drivers could retire at just 52 years old. So far Macron seems to have public opinion behind him, with polls suggesting the French are on his side.